Dr. Woodyard is proud to offer Baltimore and Washington D.C. residents an alternative to surgical liposuction. Dr. Woodyard is excited to announce that her office now offers CoolAdvantage Applicators. These new, innovative applicators offer patients a more comfortable, more effective outcome in half the time of the original CoolSculpting. This revolutionary technology targets and cools unwanted fat cells in selected areas to induce a noticeable, natural-looking reduction in fat. We are proud to announce that the CoolMini is now available to treat the "Double-Chin" area. Unlike most other methods of fat reduction, CoolSculpting involves no needles, surgery, or downtime. It’s safe, FDA-cleared and effective. "I had a very nice experience at Dr. Woodyard's office. I decided to have my procedure (CoolSculpting) done at her office at once after my initial consultation. I was very impressed with the staff as well, very friendly. I am over a month post-procedure and recommend all my friends to Dr. Woodyard. I plan on returning to the office this month for another Coolsculpting procedure since I am so pleased with my initial results." "I have always been very self conscious of my mid-section. When I found out about Coolsculpting I made a consultation appointment with Dr. Woodyard to find out more, as I have heard only nice things about her. I was very pleased with her and her friendly staff so I booked my treatments right away. I had my abdomen done with a large applicator and my hips done with the smaller applicator. At three months post procedure I am very pleased with the results and I am now planning on returning for more abdominal treatments as that is my main problem area. They showed me my before and after photos which were really impressive with the difference! The treatment can be uncomfortable within the first few minutes of placement so I'm very thankful for the hand-holding and comfortable atmosphere provided at Dr. Woodyard's office. I am now telling all my friends and family who complain of extra unwanted fat." "I was very pleased with the service and level of comfort I received from the Dr. and Ashley. It was a bit scary at first but Ashley made me feel very comfortable each time I had a treatment. I highly recommend this office for your plastic surgery needs." To initiate the treatment we will position the device on your body. The device will then draw the bulge up into the cooling cup. The sensation is a firm pull and pressure – enough of a pull to ensure the selected tissue will be cooled most efficiently. 35 minutes or so later, depending on your needs, you’re done. 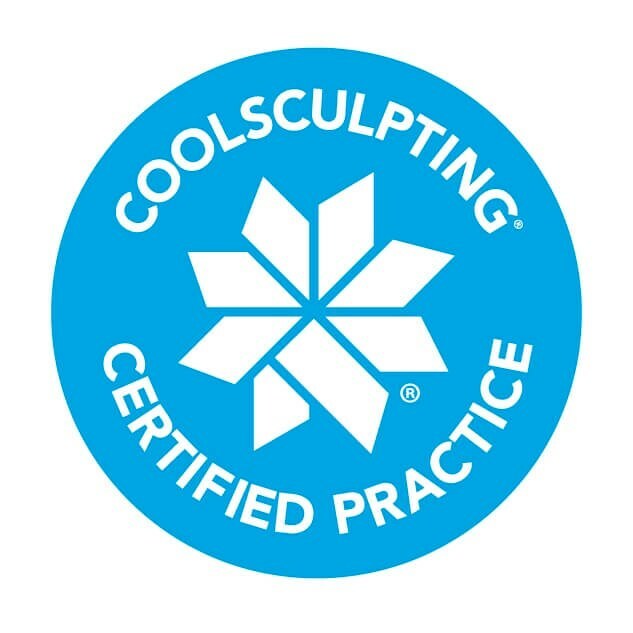 CoolSculpting® is completely non-surgical, so typically you can return to normal activities immediately. Some patients experience redness, minor bruising, tingling, numbness or discomfort in the treated area, but this is temporary and will resolve completely. Often times, patients return to work after the session is over. You may start to see changes as quickly as three weeks after your treatment, and will experience the most dramatic results after three to four months. Your body is still flushing fat cells and will continue doing so for up to four to six months after treatment. Depending on the area of the body that will be treated, and the size of this area, the price may vary for this treatment. The total cost can range from $600-$5000 depending on the total number or treatment hours needed to reach the desired result. Yes. This is a fat dissolving process that has been proven to eliminate fat from the body. Studies show that with one treatment, patients experienced a 20% reduction in fat after two months and a 25% reduction in fat after 6 months. With the newest CoolAdvantage applicators some patients have reported up to 30% reduction in fat. Yes. This procedure was developed by Harvard scientists and approved by the FDA in 2010. At that time, the safety and efficacy of CoolSculpting were proven. It is a noninvasive, non-surgical procedure that does not require any downtime. Once the fat is frozen, dissolved and eliminated, these particular fat cells will be gone forever. However, the existing fat cells can enlarge with weight gain, so it is important to adhere to a healthy diet and fitness program to maintain the long-term results. This will be decided during your consultation. Some patients may need more than one, depending on how much fat will be removed. Luckily, with the new CoolSculpting CoolAdvantage, treatment times are cut in half, only 35 minutes per treatment.